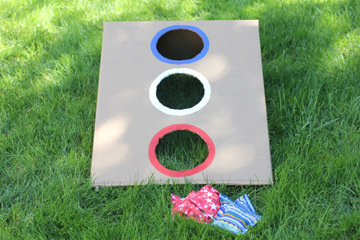 Get ready for your 4th of July celebration with this easy bean bag toss and NO-SEW bean bags! 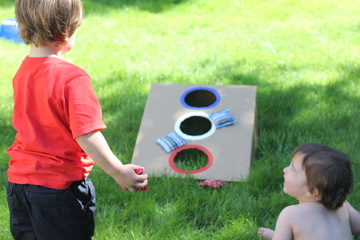 This is a great game for kids and adults and is great for your backyard BBQ celebration. I picked up fabric quarters from JoAnn’s. One had a stars pattern and the other had stripes. 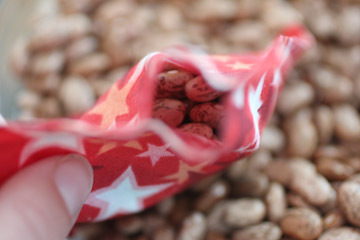 All you need to do is cut two pieces of the same fabric into bean bag size squares (about 4×4). 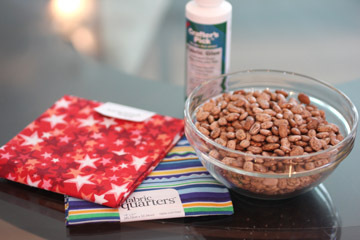 Glue the edges together with fabric glue but be sure to leave a little hole to fill with beans. 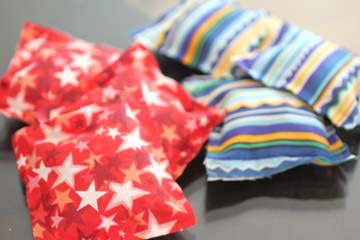 You will want to make at least 3 bean bags for each team. Now make your game board. I used the side of a large cardboard box. You will want to cut the sides at angles and leave a flap at the top. When laid flat, the board should look like this. 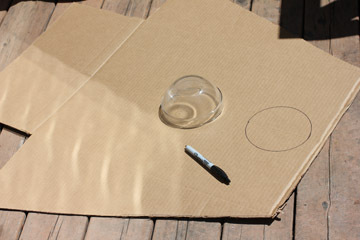 I used a small bowl to trace circles. 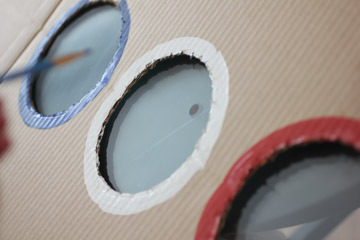 Cut them out and paint around the rim with red, white and blue, acrylic paint. Now it’s time to play! Red is 1 point, White is 2 points and Blue is 3 points. Have a fun and safe 4th of July! I love this!! I hope you will add this proeject to my Patriotic Project Parade! This is perfect!!!!!!!!! Thanks for sharing! This is such a clever idea! I'm gonna have to try it!!! Great idea! I found you at the Tip Junkie. I love crock-poting, too! I have a slow cooker Saturday series I've been doing all year. Hope you have a great 4th! What a great game idea. Have a great 4th of July. Cute idea. I need to make one of these for the grandkids. A game that never gets old. Thanks for reminding us of how fun this is. Very cute. Thanks for sharing this week on BeColorful.